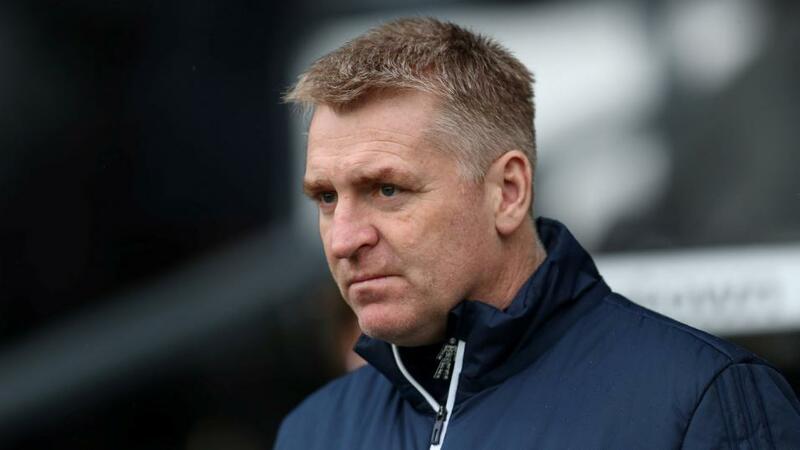 "That could finally have changed with the appointment of Dean Smith, a lifelong Villa fan renowned for slowly turning a club’s fortunes around by instilling a clear tactical philosophy. It is a welcome relief from the aimlessness of Steve Bruce’s tenure." Aston Villa are a club strangely burdeoned by their own rich history, their stature in the game making it difficult to adapt to relegation from the Premier League without resorting to self-destructive tendencies. They don't deserve any sympathy for this approach - essentially buying their way back to their rightful place - but for supporters, most of whom carry no such sense of entitlement, it has been frustrating to watch those in charge pursue short-termist solutions. That could finally have changed with the appointment of Dean Smith, a lifelong Villa fan renowned for slowly turning a club's fortunes around by instilling a clear tactical philosophy. It is a welcome relief from the aimlessness of Steve Bruce's tenure, which was largely defined by buying the Championship's most influential footballers and throwing them onto the pitch together. By the end it was absolute chaos, leaving fans crying out for more attractive football and - more importantly - a clear vision for how to get Villa back to the Premier League. Then again, Smith's appointment might not be as sensible as it sounds. The new owners, who bought the club in August 2018, reportedly approached Thierry Henry before turning to the former Brentford manager. Henry represents a glamorous (and risky) choice that perhaps shows a naivety and lack of pragmatism at boardroom level. Villa desperately need consistency, humility, and patience, while Smith needs to be given time to get his ideas across - even if that means another year in the Championship. Smith should be able to convince the board, even if they are currently sceptical; his wide-reaching philosophy and excellent interpersonal skills suggest the former Brentford manager can change the outlook of the club as a whole. Expect thoughtful press conferences, in-depth discussion of the process, and a sense of calm that will help Villa build organically for the future. That's just what Villa need: to slow down, to rid themselves of the panicked urgency that saw Tony Xia spend wildly on overrated players. Assuming Smith will be given with patience he craves, there is no reason why the 47-year-old cannot be a huge success at Villa Park. He plays expansive attacking football based on ball retention and slick short-passing football, something that always goes down well with fans (thus buying more time for things to click) and should finally offer this talented squad a strategy suited to their gifts. Villa's array of attackers is unmatched in the Championship (they can still be backed at 6/1 to be promoted). In terms of goals alone, Jonathan Kodja and Tammy Abraham have both hit 20 in a single Championship season while Scott Hogan netted 14 in the first half of 2016/17 under Dean Smith at Brentford before joining Villa in the January window. Playing with width, bravery, and attacking intent will create numerous opportunities for the Villa strikers. Yannick Bolasie, John McGinn, Albert Adomah, and Anwar el Ghazi are all exceptional wingers for this level, and all should flourish in a system with greater complexity than Bruce's. For starters, they will be unshackled from conservative defensive contributions and, thanks to the aestheticism of Smith's short-passing philosophy, will enter the final third with considerably more room to accelerate into. Then there's Jack Grealish, the most naturally gifted playmaker in the division. Smith certainly won't shove the 22-year-old out to the wing like his predecessor, instead giving him centre-stage by releasing Grealish into a free role that allows him to collect the ball from deep and instigate Smith's silky passing football. There is no better player to use as a lynchpin for an aesthetic brand of football, and consequently Grealish's form should improve. What's more, Smith's attacking instincts ensure the creative burden on Villa's number ten will lessen. As expectations lower and opposition defenders are drawn away, Grealish's output should increase. If Grealish hits his peak then the other pieces will fall into place in no time at all. Villa Park is one of the best stadiums in the country and there is a long history of manager's turning the place into a fortress; the wide pitch and daunting atmosphere should allow a possession-dominant Villa to suffocate their opponents. And a strong home record could be all it takes. Villa are currently just four points off the play-offs despite languishing in 15th, while second-place West Brom - though nine points clear of their rivals - are catchable. They've conceded 17 goals in 12 matches, a porous record that will eventually see their current form decline. Leeds United are widely expected to burn out, leaving a surprisingly open field for Villa to sneak up automatically.